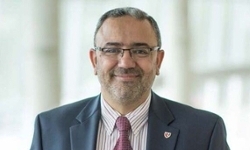 UNMC › Pathology and Microbiology › Faculty › Bios › Maher Y. Abdalla, Ph.D.
Oxidative stress and free radical biology, Microbial infections, Tumor immunology, and Cancer biology. I have been investigating the role of free radicals and reactive oxygen species (ROS) in cancer and the infection process since my Ph.D. work at the University of Iowa, and have continued this work as faculty member. I have also worked on molecular immunology and cancer biology at the NIH. I am currently conducting research in the fields of ROS, immune cells, and virulence factors associated with bacterial infection. In addition, I am studying the role of iron intake and metabolism in the pathogenicity associated with Mycobacterium tuberculosis that grow and replicate in human macrophages, with emphasis on identifying strategies to boost the efficacy of disease treatment. Kalen AL, Ahmad IM, Abdalla MY, O'Malley YQ, Goswami PC, Sarsour EH. MnSOD and Cyclin B1 Coordinate a Mito-Checkpoint during Cell Cycle Response to Oxidative Stress. Antioxidants (Basel). 2017 Nov 17;6(4). Bajbouj K, Shafarin J, Abdalla MY, Ahmad IM, Hamad M. Estrogen-induced disruption of intracellular iron metabolism leads to oxidative stress, membrane damage, and cell cycle arrest in MCF-7 cells. Tumour Biol. 2017 Oct;39(10). Abdalla MY, Hoke T, Seravalli J, Switzer BL, Bavitz M, Fliege JD, Murphy PJ, Britigan BE. Pseudomonas Quinolone Signal Induces Oxidative Stress and Inhibits Heme Oxygenase-1 Expression in Lung Epithelial Cells. Infect Immun. 2017 Aug 18;85(9). Mustafa EH, Mahmoud HT, Al-Hudhud MY, Abdalla MY, Ahmad IM, Yasin SR, Elkarmi AZ, Tahtamouni LH. 2-deoxy-D-Glucose Synergizes with Doxorubicin or L-Buthionine Sulfoximine to Reduce Adhesion and Migration of Breast Cancer Cells. Asian Pac J Cancer Prev. 2015;16(8):3213-22. Abu-Eid R., Samara R.N., Ozbun L., Abdalla M.Y., Berzofsky J.A., Friedman K.M., Mkrtichyan M., Khleif S.N. Selective inhibition of regulatory T cells by targeting PI3K-Akt pathway. Cancer Immunol Res. 2014.